Our teams of highly efficient, creative and talented Design Artists are proficient and adept in 2D and 3D designing software methodologies. They are well trained to apprehend and assimilate the content of our clients and convey it to the readers in an effective and captivating manner. Our set of professionals include Illustrators, Image Manipulation Experts, Trace Specialists, Graphic Designers and many others who handle various other vistas. 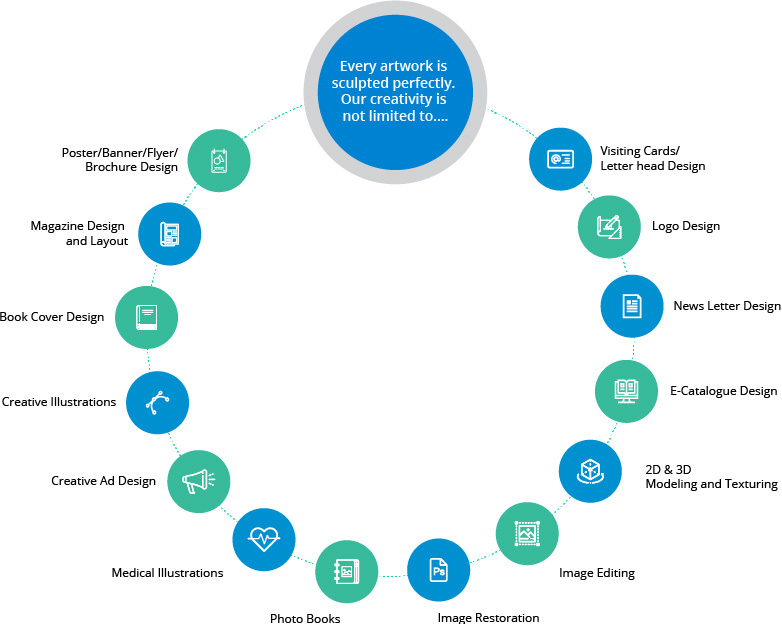 We are exquisitely equipped to provide an integrated and all encompassing image and artwork services to publishers of all kinds of content and material. We provide art solutions to a wide range of designs spanning over a spectrum of the varied patterns. These include situational designs intended to clarify a concept, specialized designs to serve as STM guides aimed at making understanding of information easier for readers, designs with animation to be included in children's books, designs of personalities for story books and non-fiction books and also maps that could be real or fake. Our range of representation is accurate and complete.